I bought my first romper this summer (see that post here), so I knew a jumpsuit wasn't far behind. But each and every one I looked at had something about it that I didn't like. Then I was walking past Banana Republic a few weeks ago and literally did a double take when I saw this in the window. Before even trying it on, I knew I would love it. Now I know jumpsuits aren't everyone's bag, but I absolutely love them. 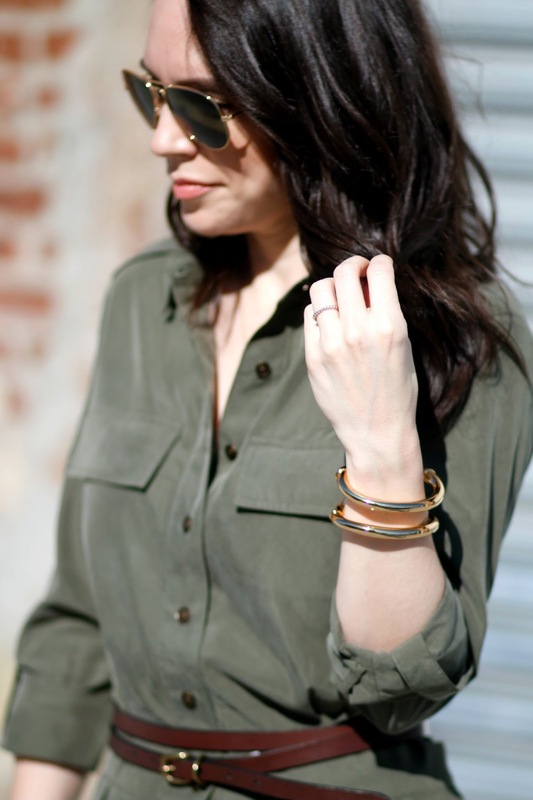 And no I don't need an entire closet full of them, but I had been dying to find a great army green one that I could dress up or down. Well clearly Banana Republic heard my plea, because this is the exact one I had envisioned wanting to wear! It is slim enough that I don't look like MC Hammer from the waist down, but billowy enough to give a nice drape. The sales associate at BR gave me this belt to wear with it and truth be told, that sold the whole look for me. Without it I most definitely looked like a chic mechanic, but when on it gives the illusion of a blouse and pants. 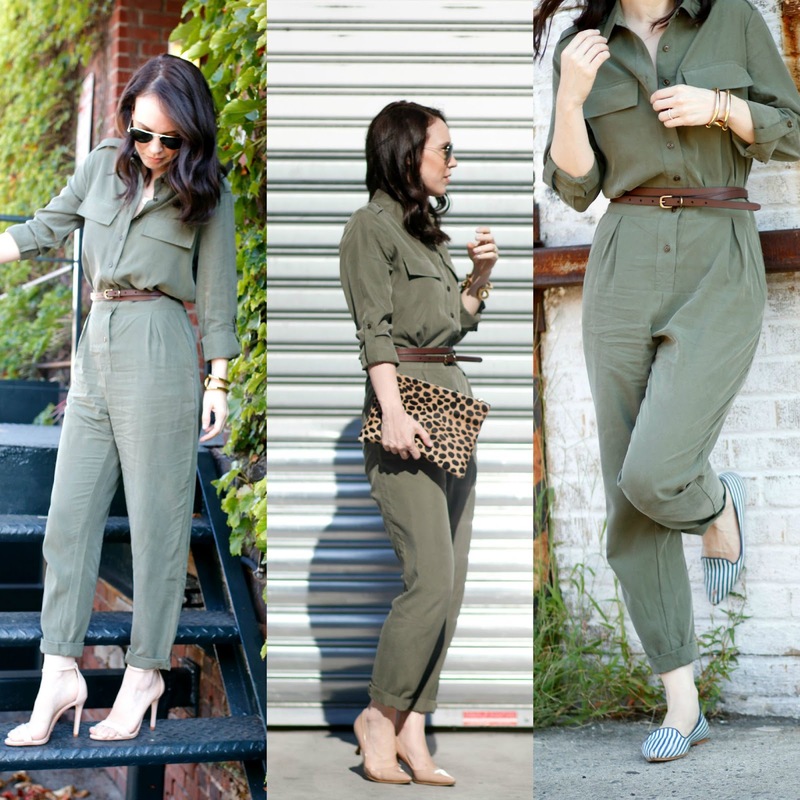 I styled the jumpsuit with three different types of shoes to show how versatile it can be. High heeled strappy sandals for a night out, pointy toe pumps for the office and flats for running around on the weekend. This is my first fall wardrobe purchase and I am officially excited. I don't really drink them, but it almost makes me want a pumpkin spice latte. Almost.